Reference Part Number: 3C0998281 3C0998281A 3C0998281B 32330208. Part Number: 3C0998281 3C0998281A 3C0998281B 32330208. Fit for Audi Q3 RSQ3 Passat B6 CC Tiguan Seat. 1 x Rear Caliper Parking Brake Servo Motor. Features: Suitable For Magotan, For Tiguan, For New Passat and For Volkswagen. High quality and excellent control. Black appearance, dirtproof and wear resistant. Made of premium material, durable and practical. Easy to install and use, no worry about time wasting. Description: 6-Torx rear caliper parking brake servo motor for car use. Fit for Audi Q3 RSQ3 Passat B6 CC Tiguan Seat. for RSQ3 2014-2015. for Q3 2012-2015. for Tiguan 2008-2015. 1 x Rear Caliper Parking Brake Servo Motor. for Passat CC 2009-2014. Clearance -10%. If you are satisfied with our service, pls. Suitable For Magotan, For Tiguan, For New Passat and For Volkswagen. 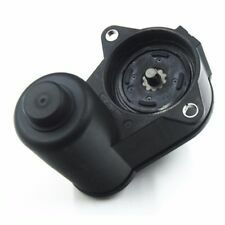 6-Torx rear caliper parking brake servo motor for car use. 1 x Servo Motor. Black appearance, dirtproof and wear resistant. Size: 13 10 8.5cm.